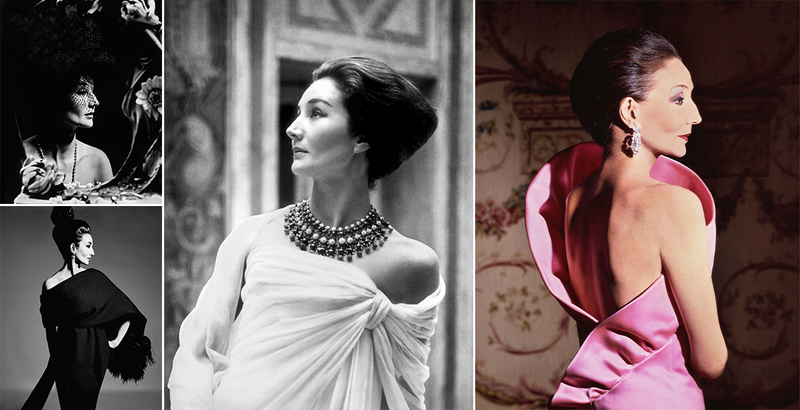 When it comes to couture, the wardrobe of Countess Jacqueline de Ribes is a treasure trove. Now in her 80s, de Ribes has been wearing couture since her marriage to Vicomte Édouard de Ribes at the age of 19. She gave Harold Koda, curator at the Metropolitan Museum’s Costume Institute, access to that wardrobe to choose 60 couture and ready-to-wear pieces for “Jacqueline de Ribes: The Art of Style,” now on show at the Met. The stunning collection includes ensembles by Yves Saint Laurent, Pierre Balmain, Bill Blass, and Marc Bohan for the house of Dior, as well as from de Ribes’s own collection, which she launched in the early 1980s. Considered the epitome of style, her individual approach to dressing, status in French society, and her beautiful profile earned her a regular place on international best-dressed lists, and the title “The Last Queen of Paris,” from Valentino.